Doggone it! ... Dogs need to be restrained in cars. A DOG may be man's best friend but left to roam inside a car it could turn out to be your worst enemy in a crash. 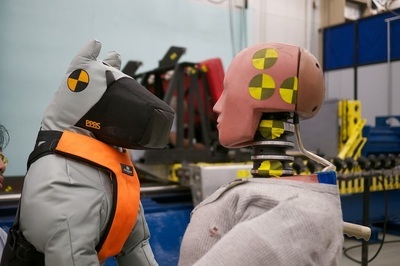 A study by NRMA Insurance found only two of the 25 dog restraints tested passed a relatively low-speed crash test. Drivers in NSW, for example, risk a $405 fine and three demerit points if caught with an animal on their lap. In school zones the fine increases to $506 and four demerit points. Leading an animal with a vehicle is a $57 fine in NSW. Our tests showed that an unrestrained pet sitting on the back seat of a car can hit the dashboard with enough force to cause serious injury, even at a collision speed below 20km/h," said NRMA Insurance Head of Research Robert McDonald. "Most people using the commonly available harnesses are doing so in a genuine attempt to keep their pets safe. "(But) most harnesses, while effective at restraining pets, are not safety devices and do little to prevent injury in a common low speed crash." 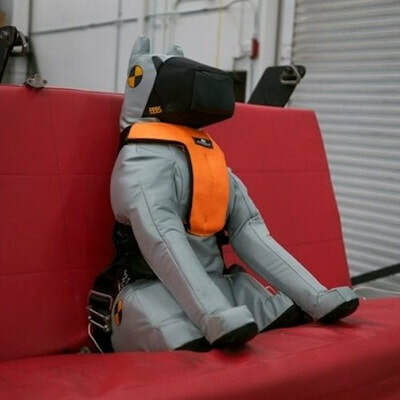 NRMA Insurance used weighted dog 'dummies' to test harnesses in 35km/h and 20km/h impacts. But 23 of the 25 popular harnesses tested failed because of the weak plastic buckles, similar to those to clip backpacks. Dog car harness test results - most readily available harnesses below. Many popular harnesses were tested. 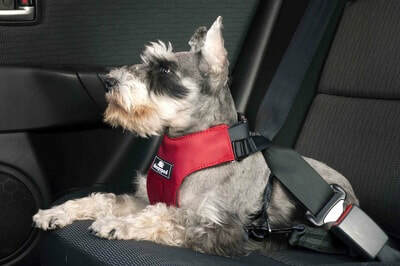 The two harnesses that didn't fail were the Purina Roadie harness (which costs about $40) and the Sleepypod Clickit harness (which costs about $140) and also has ISOFIX attachment points, the same type used to restrain child seats in Europe and still pending final approval in Australia. "An effective harness is critical when travelling with a pet as it keeps the animal safe and restrained and avoids the driver being distracted while driving with the animal moving around inside the vehicle," said Mr McDonald. "In a collision, an unrestrained pet also has the potential to injure the other passengers in the vehicle." Meanwhile, a survey of 450 NSW dog owners found that more than 40 per cent admitted they don't restrain their dog when it's travelling in the car. Dog owners are simply placing them on the front or back seat (70 per cent), in the back luggage area (15 per cent) or on their lap (4 per cent). ​All states have different laws regarding restraining your dog, please check with your local transport authority for what is legal in your state. ​Don't wait for an accident to happen to you. 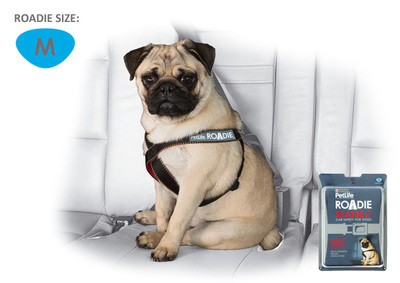 Make sure you and your dog are safe and always restrain with an NRMA approved harness. ​Watch the NRMA crash testing here. Thunder Shirts, do they work? If your dog suffers from anxiety, fear, allergies, stress, behaviour problems then the Thunder Shirt is something you may want to try. I've seen these around for a while but was sceptical they would work. My dog is very stressed during thunder storms, visits to the vet, groomers, anything out of his comfort zone. So I gave it a try. It doesn't solve the problem completely but it definitely helps and it eliminated his need to scratch and bite from his allergies. The Thunder Leash also does what it promises and pulling is reduced by up to 80%. These products are now available in Australia for anyone wanting a "Drug Free" alternative to any behavioural issue. If you are a dog trainer or a pet parent, I recommend giving them a go. Combined with positive reinforcement, the results could amaze you. You can find more information on the Thunder Shirt and Thunder Leash below. 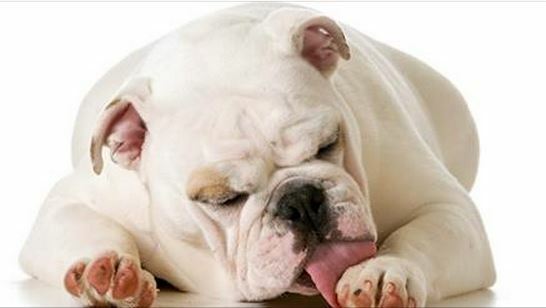 Does your dog constantly lick his paws? Imagine going for a walk every day in bare feet, not washing those feet and then licking and chewing them. Well your dogs do. 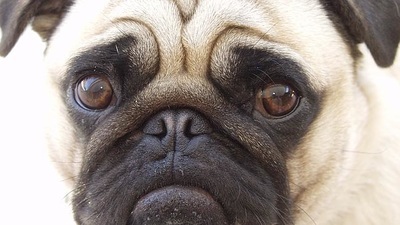 The toxins that can develop on your dogs' paws are now also having fun inside your dog. Although our dogs are designed to handle some bad stuff, there are many toxins that should be avoided. These include lawn fertilizers, garden herbicides and pesticides, anti freeze, household cleaners, formaldehyde, pool/spa chemicals, even flea and tick medication. Or if your dog is anything like mine, cut grass can cause a massive flair up in his paws. While there are many reasons your dog may be licking or chewing at his paws and a vet should be consulted in extreme cases, by keeping your dogs paws clean and healthy you may be able to eliminate a lot of licking by following a few simple steps. Even if your dog doesn't have allergies, every dog deserves healthy paws! If your dog is a big guy you can use a bucket and soak one foot at a time, with a little dog, you can use your kitchen, laundry or bathroom sink. You need enough water to cover the pads of your dog's feet. Povidone iodine (Betadine) is an organic iodine solution. It's safe, non-toxic, antifungal, antibacterial, and anti-yeast. You want to dilute the povidone iodine with water to the color of iced tea, using just your eyes – no scientific formula is involved! If it comes up too light, just add a bit more of the iodine. If it's a bit dark, add more water. Just swish around while your dog stands in it. I recommend you let your dog stand in the solution for two to five minutes. You don't have to do anything to the feet or toes -- the solution will do the work for you. So you can just stand and sing to your dog while he soaks, or talk to him and tell him know how handsome and well behaved he is. Massaging your dog is also a nice relaxing time. If your dog is nervous about being in water, you can offer treats. So having some snacks handy is a good idea. If your dog is truly fearful of water, rather than plunk her in the tub or sink, you can do a little mini-soak. Put a little povidone iodine in a small tub, add water and create a little mini foot soak. You can just plop each little foot in the mini-soak one at a time, making sure each entire pad surface is covered with the mixture and it shouldn't be nearly as scary for your dog as being put in the bathtub. Pat Dry and Go! After you've soaked each foot for two to five minutes, there's no need to rinse the solution off your dog's feet. This is another great feature of povidone iodine. And don't worry if you have a white fluffy like me, the Betadine will not cause a lasting yellow stain on your dogs paws. You can then follow up with Mushers Secret Wax to help sooth and protect. Try Musher’s Secret Wax as a Treatment to help protect & keep your dogs' paws healthy. You'll want to protect your dogs paws from abrasive surfaces such as sand, salt and ice, pavement or anything that can damage their sensitive pads. This is perfect for dog walking, bike rides with your dog, running on roads – basically any activity where your dogs paws come in contact with abrasive surfaces. 100% wax-based cream derived from a blend of several food-grade waxes. Safe and non-toxic to your dog and contains vitamin E to help moisturize, heal wounds and keep paws healthy. Creates a semi-permeable shield that lets perspiration escape while absorbing into the paws to protect them. Simply apply a light coating to your dogs foot pads and rub in. Absorbs in minutes – when it’s absorbed into your hand, it’s absorbed into your dogs pads. In severe weather rub between pads. Apply as needed to keep your dog healthy and happy. With these two simple steps your dogs constant licking and chewing should improve, but always seek veterinarian advice should symptoms persist. According to Wikipedia,Bluey our Aussie Cattle Dog, is no longer the World's Oldest Dog. With the average life span of a dog ranging from 7 years - 16 years depending on breed, would we want our dogs to live this long? I wonder how different the dog industry would be. If they were happy and healthy, for me the answer is yes. Max (9 August 1983 – 18 May 2013) was a beagle, dachshund and terrier mix who lived 29 years and 282 days. In August 2009, the Telegraph reported that Max had veterinary records proving his age and that at 29 he was the world's oldest living dog. He was 3 years older than Pusuke a Shiba Inu who, at 26 years of age, had previously been considered the oldest living dog. On May 15, 2013, the Guinness World Records organisation approved a claim made by Janelle DeRouen for Max to be recognized as the World's Oldest Dog. However, just three days later, on May 18, Max died of a Tonic–clonic seizure. If Max had lived to the following August, he would have been the first dog known to reach 30 years of age. Bluey (7 June 1910 – 14 November 1939) was an Australian cattle dog owned by Les and Esma Hall of Rochester, Victoria, Australia, which, according to an anecdotal report, lived 29 years, 6 months and 12 days, but the record is unverified. Bluey held the world record for the oldest dog, according to Guinness World Records, who cite the anecdotal reports as being "reliable", until February 2013, when Max took over. Bluey's record age, along with that, also unverified, of an Australian Cattle Dog - Labrador mixed breed dog named "Chilla" reported to have lived to the age of 32 years and 12 days.